From the New York Times bestselling author of Are You There God? 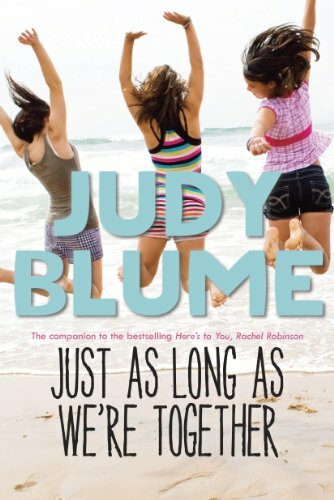 It’s Me, Margaret and the adult bestseller In the Unlikely Event comes a tale of family, friendship, and pre-teen life like only JUDY BLUME can deliver. The companion to Here’s to You, Rachel Robinson. Stephanie’s best friend is Rachel. Since second grade they’ve shared everything, good and bad. But now it’s the start of seventh grade and Alison has just moved to their neighborhood. Stephanie immediately clicks with her—she’s cool and fun and totally humble even though she’s the daughter of a famous actress. Stephanie hopes all three of them can be best friends, but the more she pushes Alison on Rachel, the more Rachel seems to drift away. Is it possible to have two best friends? Or is it true that two’s company, three’s a crowd?